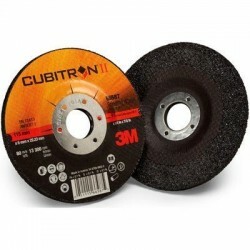 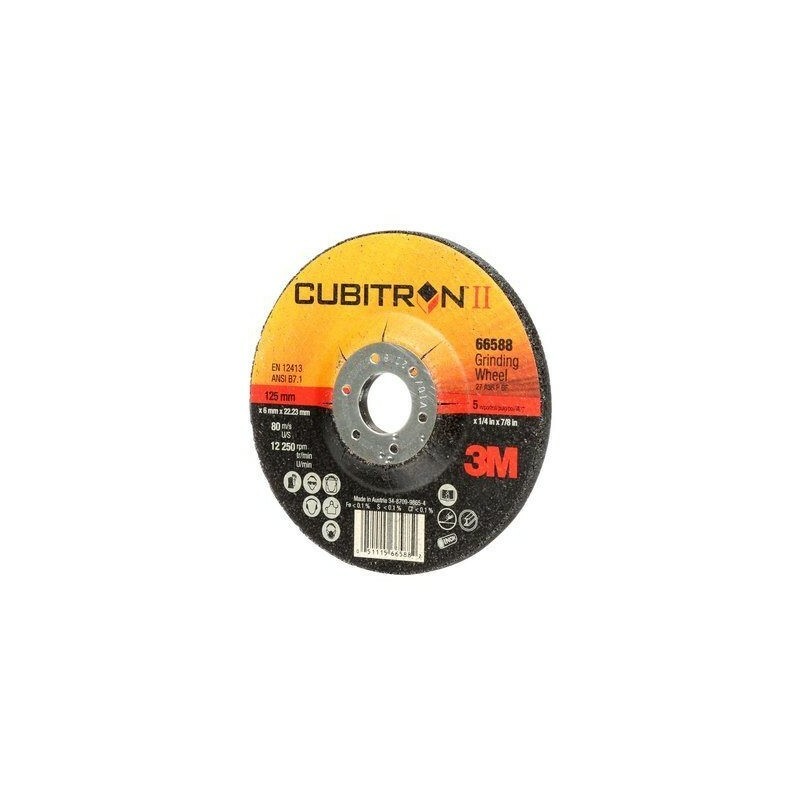 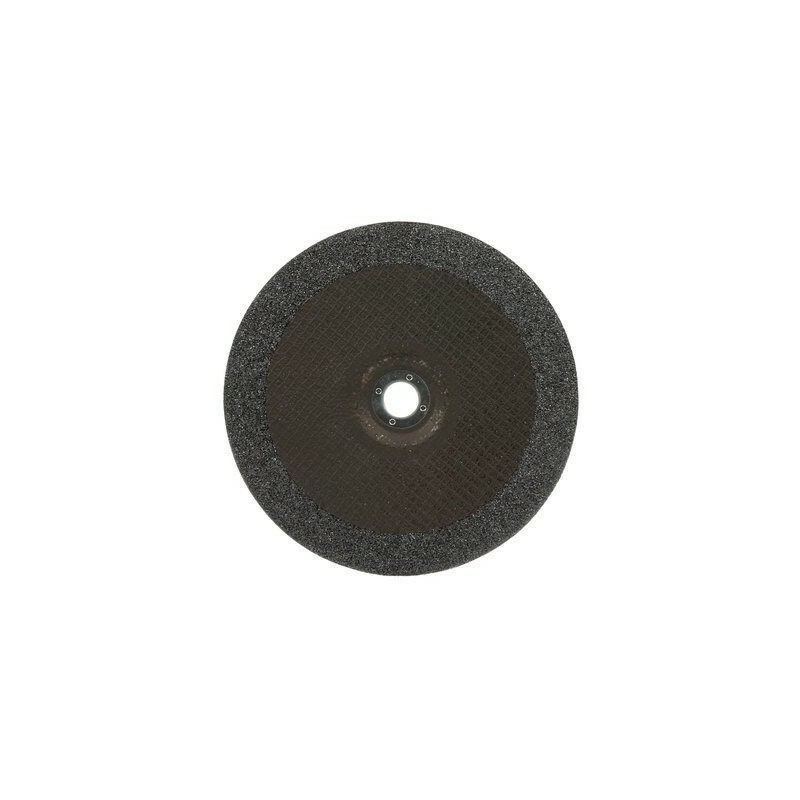 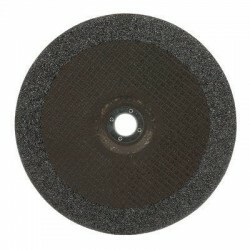 3M Cubitron II Depressed Centre Grinding Wheel is constructed of 3M Precision Shaped ceramic grain to offer a fast cutting and long lasting rigid bonded wheel. 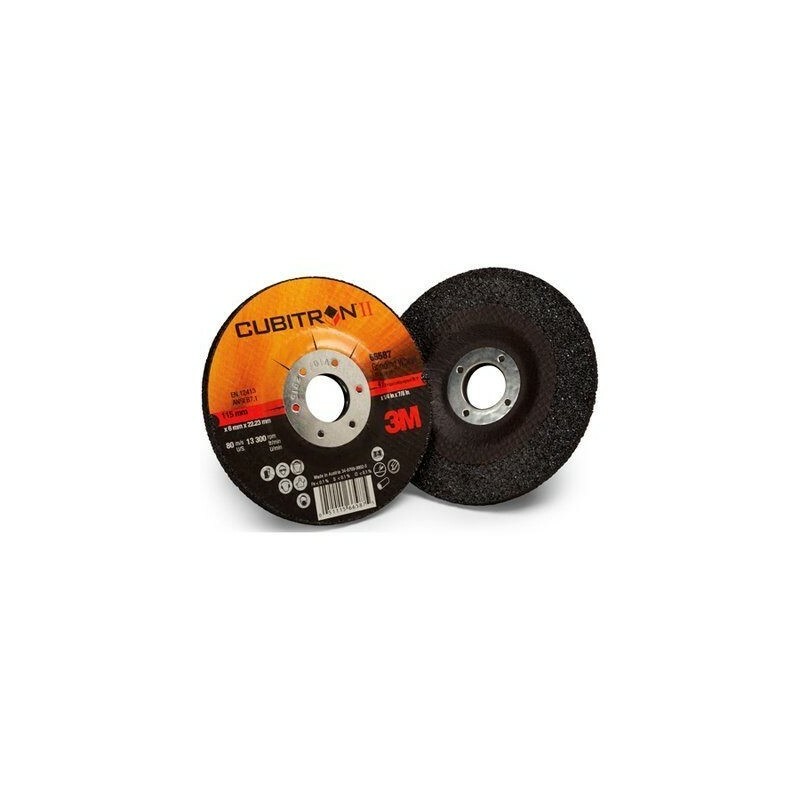 Our grinding wheels are specially formulated for use on stainless steel, mild steel, and aerospace alloys. 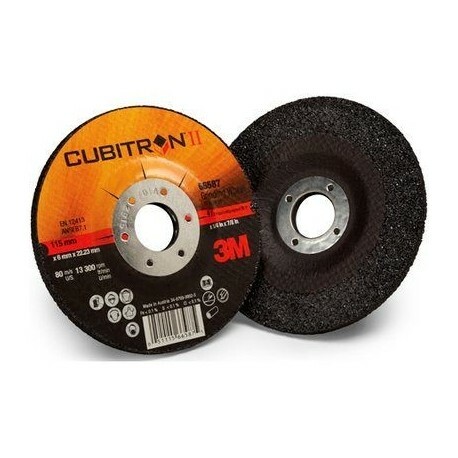 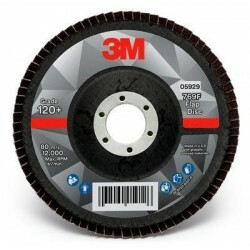 3M™ Cubitron™ II Depressed Centre Grinding Wheel is constructed of 3M Precision Shaped ceramic grain to offer a fast cutting and long lasting rigid bonded wheel. 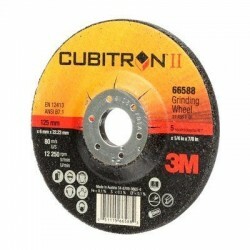 Our grinding wheels are specially formulated for use on stainless steel, mild steel, and aerospace alloys.